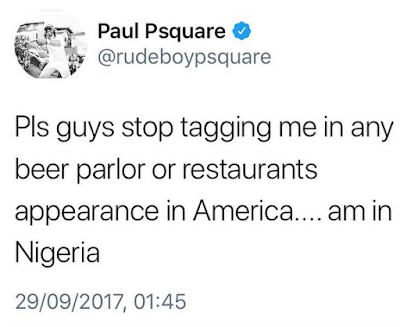 After celebrating the Okoye wives in a post on social media, Peter Okoye has replied his twin brother's shady tweet about his 'beer parlour' appearances in the US. 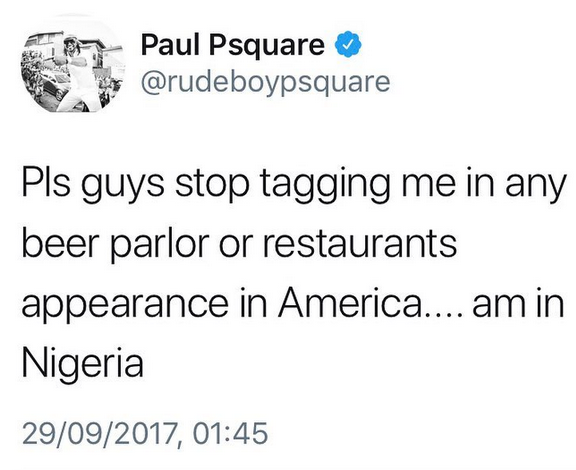 Paul tweeted today that Psquare fans stop tagging him in any beer parlor or restaurant appearance in America, especially since he's in Nigeria. Now Peter who is supposed to perform at a Lounge in the US for an Nigerian Independence day party on October 1st, caught the shade and responded. "Pls enough of the shades my brother i have moved on. I have even called my self an up coming artiste. You are the song write and the voice of Psquare, the every every! No wahala pls allow me to have my peace showcase my self to the world and Enjoy with my family. And I am expecting you to do the same. It is not a competition and it is not healthy. My brother I have moved on. I am very sure we will definitely do songs again in future and I wish you all the best bro. Nothing but love.? 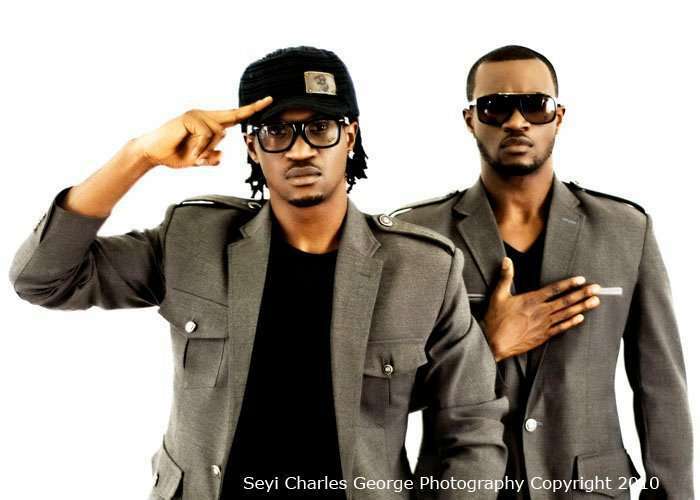 God bless Psquare and the great Fans, God bless Mr P and God bless Rudeboy. #Peace," he tweeted.